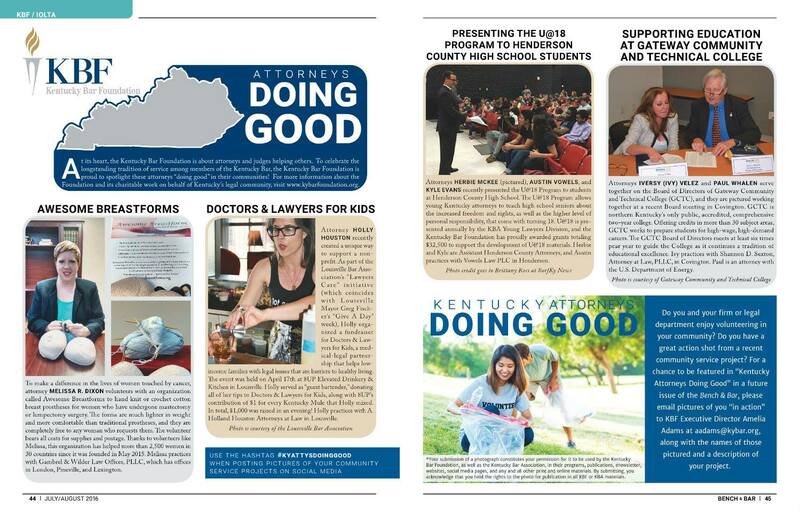 At its heart, the Kentucky Bar Foundation is about attorneys and judges helping others. 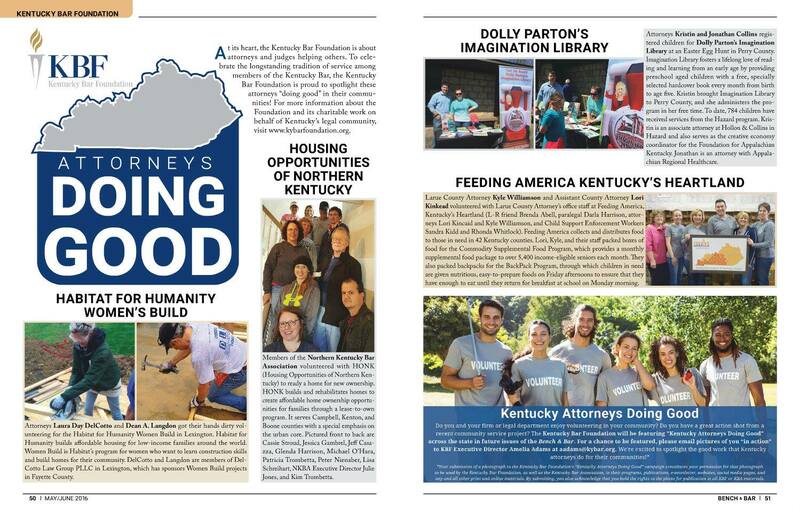 Through its Kentucky Attorneys Doing Good program, the Foundation is proud to spotlight attorneys making a difference by volunteering in their communities. At its heart, the Kentucky Bar Foundation is about attorneys and judges helping others. 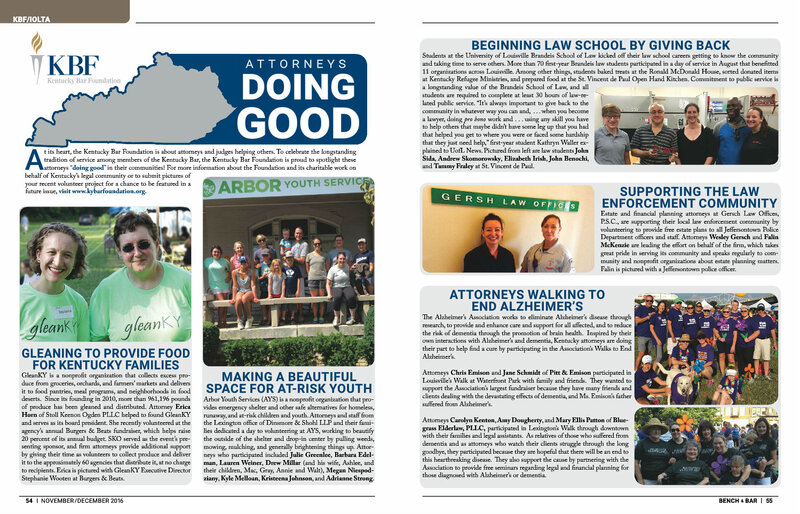 To celebrate the longstanding tradition of service among members of the Kentucky Bar, the Foundation is proud to spotlight attorneys “doing good” in their communities both in the Bench & Bar magazine and on the Foundation's Facebook page. Do you have great action shot from a recent community service project? 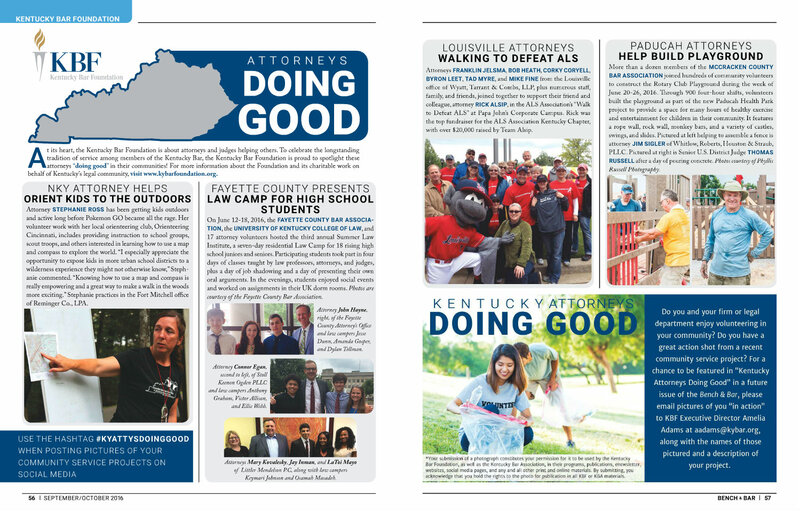 For a chance to be featured in "Kentucky Attorneys Doing Good," please email pictures of you "in action" to KBF Executive Director Guion Johnstone at gjohnstone@kybar.org, along with the names of those pictured and a description of your project. and click here to view archived magazine issues.